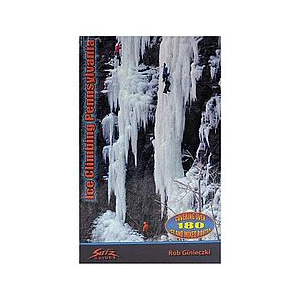 This is an excellent resource for information related to general mountaineering, but also for a broad range of topics from basic backcountry equipment and navigation, to rock and ice climbing, and a number of other associated topics. 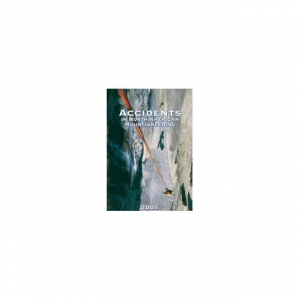 The most significant aspect of this book that sets it apart from other mountaineering/climbing references is not necessarily the specific material within the book, but how that content comes into being. 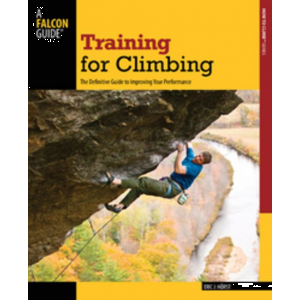 This book is a great resource for any experienced back country traveler or climber, but is an especially good resource for someone new to the sport or who would just like to better understand the terminology, equipment, and techniques, associated with climbing and mountaineering. First off, I would like to state that I received my latest copy of this book from Trailspace as a gift for being a past Reviewer of the Month. That said, I already owned an earlier edition of this book that I purchased back in the mid 1990s. 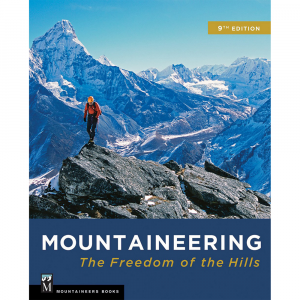 My comments in this review will be with the 8th Edition of the book Mountaineering, Freedom of the Hills, published by the Mountaineers Books. With respect to this book as I stated in the Pro's above, what makes it so special is not necessarily the content (which is second to none by the way), but the effort that goes into generating that content for each edition of the book that gets published. 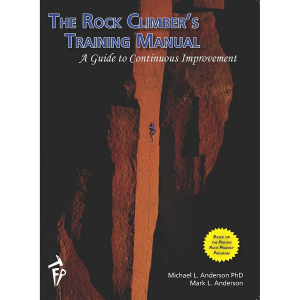 The Mountaineers use this book as a primary reference for the basic climbing classes they put on each year, so there is a focus on making sure the information is accurate, clear, and reflects the the best practices available at the time of publication. How this is accomplished is that a number of skilled and experienced climbers from within the organization donate a significant amount of time (on the order of several years) making sure the latest edition truly reflects the best information available. It is very rare now days to find such a quality product like this book that is not driven by profit, but by the desire of people to just provide the best information available to help enable other people to safely enjoy the sport of climbing and mountaineering. Before I get into the content of the book I want to make an observation that I feel that a "book" is one of the best ways for this type of material to be presented and shared. With the internet being the go-to resource for almost everyone (including me...) on any topic, there is always the risk of information overload or information that changes by the day. When you are dealing with information that can be fundamental to helping ensure your safety with a sport like mountaineering, it is important to have a reliable resource for that information and I can't see how a book can be beat as the information will be unchanged the next time you pull it off the shelf a week, month or year from now. I'm not looking for a debate, but just sharing my perspective. I have had a copy of the 5th edition of this book for over twenty years and have turned to it as a regular reference, especially to brush up on my navigation skills. My 5th Edition of this book (on the right in the picture above) has 447 pages and the latest 8th Edition has grown to 597 pages which reflects the amount of change and evolution that has occurred between the times these two editions were published. I have included a picture of the table of contents below from the current 8th edition to give you a better impression of the scope of material covered within the book. 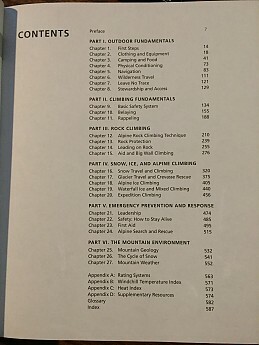 From the table of contents you can see that the chapters in Part II, Part III, and Part IV all do a great job covering Climbing Fundamentals, Rock Climbing, and Snow, Ice and Alpine Climbing, but I wanted to focus your attention on the other major Parts shown in the table of contents. Part I on Outdoor Fundamentals is an excellent resource for anyone going into the backcountry and the chapter on navigation has been my go to resource when my skills start to get a little rusty. Chapters 7 and 8 on Leave No Trace and Stewardship and Access are very relevant with respect to our impact and use of the outdoors today. Part V I also think is worth noting as many books on climbing and the outdoors focus on basic skills and techniques, but don't always go into great detail on what to do when things don't go as planned. The chapters in this section contain very useful information and additional skills on how to plan and lead a safe trip, but also on how to deal with situations when things don't go as planned. Appendix D on Supplementary Resources can be very useful if you are looking to get additional information on the subject of any particular chapter within the book. Given all the thought and effort invested by the volunteers who assemble this book, I assume they most likely provide the same level of thought on the resources they share in this appendix. 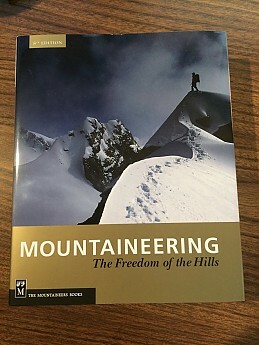 While I think very highly of this book as a reference, I would encourage anyone just getting into mountaineering or climbing to seek out organizations like the Mountaineers to get the instruction and firsthand experience needed to help ensure their future adventures are safe and enjoyable. On a slightly different note, I also think this book makes a great gift for a significant other, parent, etc. who may not be as involved in outdoor activities, but may want to better understand the details behind what you are doing when you disappear into the mountains for that long weekend of climbing. Thanks for the review of your prize, Mike! I'm glad we could get you an updated version of this book. I'll be curious to hear if any obvious differences in info or technique jump out at you between your two editions. It's definitely a quality book. I was happy to receive a copy as well. Hi Alicia there are a number of differences between the latest edition and my 5th Edition of this book, but in general I would characterize the latest edition as having greater depth and breadth in each of the topics compared to what was covered in my 5th edition in addition to much new information like what is covered in Part V on Emergency Prevention and Response. I think having this opportunity to compare two versions of this book that were several editions apart increased my awareness that for reference books it may not make sense to buy each and every new addition, but that it does make sense for your favorite reference books to go back and take a peek at the latest edition every so many years as you might be surprised by what has changed and that it might be worth it to picking up that latest copy. Good points, Mike. I think you're right that often a new edition may seem like an incremental change not worth updating to all the time, but over a greater period of time and where safety is concerned it becomes more critical. Thanks for comparing them! (As a programmer and software developer, it's just natural to hit return (are there not line breaks???? Why does that mean "post" here??? ) Ahem! Anyway, as I was saying, I was briefly a member of the Mountaineers. One of my fondest memories was a snow cave building trip on the side of Mt. Rainer. My partner there later went on another hike on Mt. Rainer with another woman partner - not his fiancee, she didn't like hiking and raising any eyebrows would have diminished both of them - and they got lost. They spent the night on a ledge after realizing that casting about would only get them in more trouble. After a safe and uncomplicated rescue the next day, they reported to the local papers that they kept their spirits up by alternatively singing the intro to "Gilligan's Island". I don't think that skill is included in any basic survival guide, but it should be! Thanks for the comment, and I agree with you. It's now updated and you can add a line break in comments with shift-return. The textbook for mountain climbing. 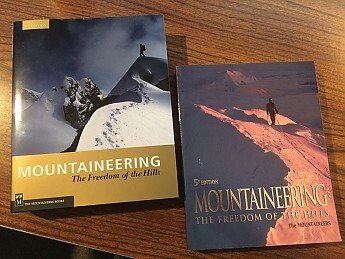 This is the textbook for mountaineering. It not only covers the what or the how of a subject but the why giving you a more in-depth understanding. For example, you shouldn't wear cotton in cold weather because the shape of the fiber holds water and fills the air spaces greatly reducing insulation. This goes on for such diverse topics as digging a cat hole to go poo to using an ice ax to cross a glacier. 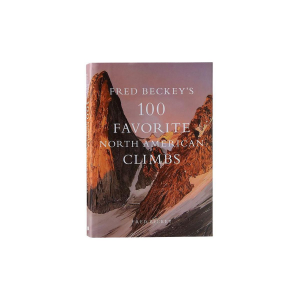 If you can master the techniques in this book you can climb the biggest peaks in the wildest places. The downside of a book is you are not going to master complex techniques just by reading the instructions. For the easier activities like navigation or tying knots you need to practice. For more complex activities like climbing or crossing a glacier you need to find an instructor to start to ask questions and help with misunderstandings. This is the best ref book yet for the outdoors. It covers a broad range of skills - orienteering, rock climbing, gear, snow travel, etc. and one can learn a lot by reading it. I highly recommend this book if you want to spend time off the beaten path. I recommend this book for all novice or expert climbers and backpackers. Good solid information that will get you started the right way. Great for review also. 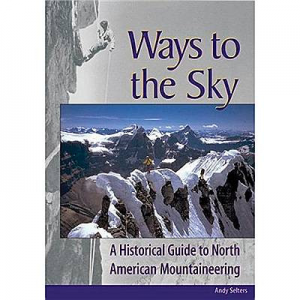 This is one of the best all around guide books for anything you wish to know about mountains. Rock, ice, climb. It's easy to read, simple illustrations and really it's just cover everything and make a great book to start with if looking for any mountain activity. Been looking around for a book that will give me some good all around introduction and this book fit the bill.